Lance Armstrong Faces More Doping Questions In New 'Sports Illustrated' Story : The Two-Way Sports Illustrated is reporting new allegations that cycling great Lance Armstrong used performance-enhancing drugs during his glory years as a Tour de France champion. Lance Armstrong arrives at a training session during a rest day of the 2010 Tour de France. 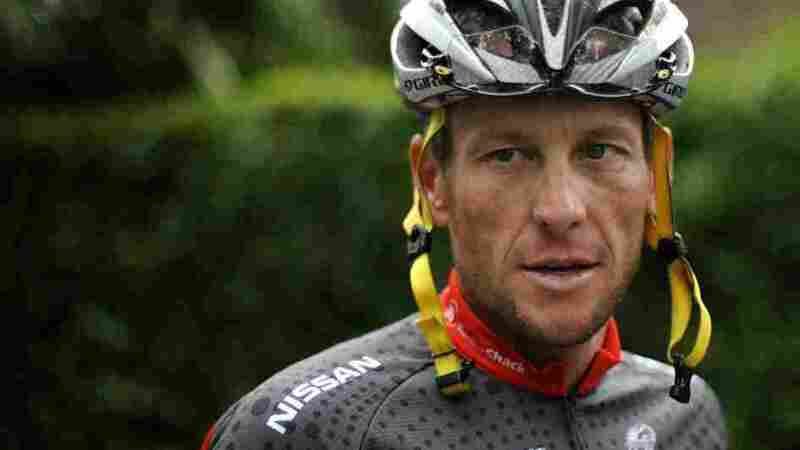 Sports Illustrated is reporting new allegations that cycling great Lance Armstrong used performance-enhancing drugs during his glory years as a Tour de France champion. On newsstands today, the magazine says that dozens of interviews and hundreds of pages of documents have turned up evidence that Armstrong used drugs, including the blood-boosting drug EPO, before and during his run of seven Tour wins. The story also alleges that he encouraged members of his cycling teams to participate in doping. Armstrong has denied the allegations, repeatedly declaring that he has never taken performance-enhancing drugs. Currently riding in Australia's Tour Down Under, Armstrong told reporters Wednesday that he had perused the SI story and that he had "nothing to worry about on any level." "A U.S. federal grand jury in Los Angeles has been hearing evidence for months on cheating in professional cycling. The investigation turned toward Armstrong and several of his associates have testified before the panel since ex-teammate Floyd Landis accused the seven-time Tour de France winner of systematic doping." Armstrong's run of Tour titles made him one the highest paid cyclists during his championship years. ESPN The Magazine's Shaun Assael recently reported that a Freedom of Information Act request has finally shed light on amounts paid to Armstrong's Tailwind Sports team by the United States Postal Service during its time as a sponsor. "The materials provide the first clear look at how heavily the agency invested in Armstrong and reveal the exact dollar amounts at issue should Armstrong and former team officials be charged with fraudulent use of government funds at the conclusion of an ongoing federal investigation." While questions and allegations continue to dog Armstrong, he and his associates continue to proclaim his innocence. Armstrong spokesman Mark Fabiani told the AP that the Sports Illustrated report is "old news from the same old, discredited sources."